Tip: Public Costs. Average in–state tuition and fees for public four-year institutions was $9,970 for the 2017-2018 school year. Out-of-state tuition for these same institutions averaged $25,620. It doesn’t take a degree in finance to see the cost of college continues to rise. In its 2017 report, the College Board showed that public four-year institutions raised prices an average of 3.2% annually between the 2007-08 and 2017-18 school years. Put another way, a $5,000 education in 2007-08 would cost $6,851 in 2017-18. For a few families, the lion’s share of education costs falls on parents and, in some cases, on grandparents. Generally the majority of families rely on a combination of scholarships, grants, financial aid, part-time jobs, and parent support to help pay the cost. Fast Fact: Private Costs. Tuition and fees for private four-year institutions averaged $34,740 for the 2017-2018 school year. If you add room and board, the figure rises to $46,950. 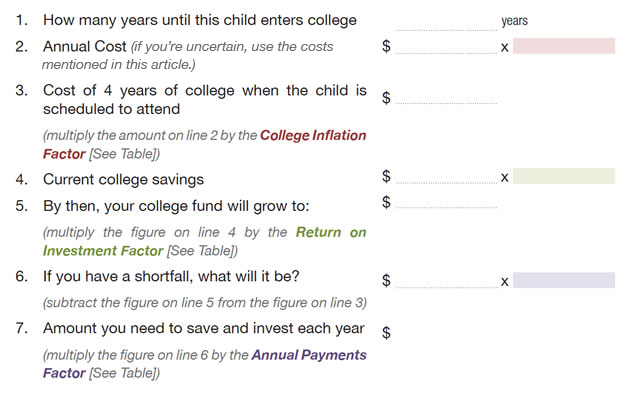 If your child is approaching college age, a good first step is estimating the potential costs. 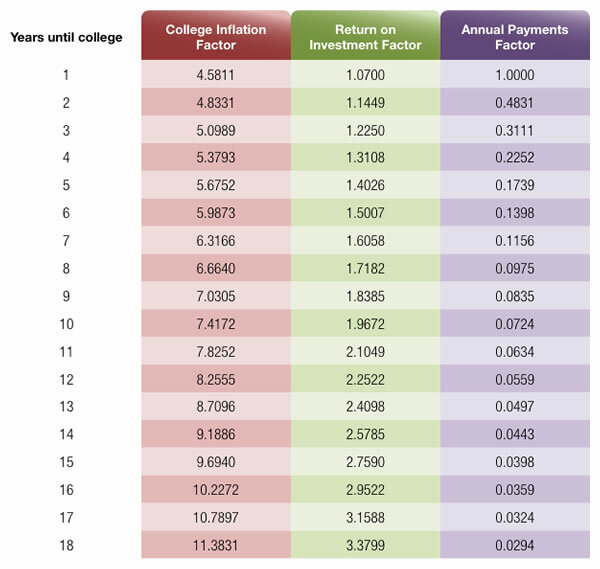 The accompanying worksheet can help you get a better idea about the cost of a four-year college. If you’ve already put money away for college, the worksheet will take that amount into consideration. If you haven’t, it’s never too late to start. The government’s college and financial aid portal. The group that administers the SAT test.